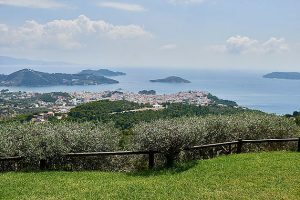 When you plan to rent a luxury villa in Skiathos, there are some pointers to consider insofar as going about the process the best way possible. There are some risks involved, amongst which fraud as relating to holiday accommodation is among the most common. For instance, if you book directly with the owner, there’s actually greater risk of fraud. Some poor victims are fooled by the fraudulent advertisement of holiday villas and apartments and arrive at their destination only to find out it’s a no-man’s land. Below, we will review a few of the most important things to keep in mind when renting a private villa in Skiathos. 1. The first thing you would want to do is check how detailed the terms and conditions are, and if so, be sure to review them thoroughly. If the villa owners are in fact kosher, then they will know the importance of investing in professionalism. Be sure that the agreement provides all the necessary information and detailed address for instance, before settling on a particular one luxury villa in Skiathos. 2. Another good way to go about it would be to check reviews by other renters, either on the site you are booking through, or on a helpful site such as TripAdvisor. But beware yet, for good reviews can be faked as well. Beware of those that are nothing but glowing accounts- the bad ones tell their own story. Clearly, it is unlikely that a good villa/helpful owners will get many, if any, bad reviews. 3. Resort to maps.google.com to confirm the location of the villa to make sure that it actually exists. Once you have located and confirmed it, you may use “street view” to see that the property matches up with the pictures posted online. To do this, you will obviously need to make sure you get the postal as well as the physical address. 4. Very important when booking a villa is to check if it’s conformed with all the European and National safety rules and regulations and thus it is officialy approved from EOT (Greek Tourism Organisation).This ensures you that it is an existing business that operates legally with all the necessary authorizations from Greek goverment.You can verify it through the villa’s website,looking for the special mark of EOT or contact and asking the owner by phone. 5. In regards to fraudulent owners as briefly mentioned in the opening paragraph, it is all too easy for these guys to list villas under false pretences, such as that they actually own the villa rental sites. These oaks tens to get away with taking a booking and disappearing with the money into thin air. A good way to avoid this would be to speak to the owners on the phone, as their number should be provided. Ask for details about the property and the area, whilst trying to divulge how knowledgeable and trustworthy they area. 6. Use the internet as your best trip advisor, and be sure to thoroughly research all the details you have gained in order to see if you can get any more information about the owners, or even trace any complaints about them. 7. Use your own solid logical and common sensse. If the price seems too good to be true, it usually is! If there is something flaky about the website, such as the property description or the owners that you aren’t happy about, then simply don’t make the booking. There are lots of other villas out there and you need to take the time in choosing the right one for you. 8. When it comes to the actual paperwork at the time of payment, you best be on the lookout out for some pitfalls. In connection with the first tip as outlined earlier, do not send any money without receiving and confirming the written contract first. Furthermore, when it comes to the paperwork regarding payment, you may also do well by being wary of security deposits, and ensure that the terms for returning the deposit are very clear. 9. When paying the deposit and balance,you best avoid wired money transfers by companies like Western Union, which may be untraceable. 10. Upon your arrival at your chosen luxury villa in Skiathos, be sure to inspect the property very carefully- ideally so in the company of the owner/managers. In case of any damage, take photographs with the assistance of the owner. 11. When leaving the private villa, don’t forget to get your security deposit back. If any deductions are made, ask for proof of the cost deducted before fessing up unnecessary costs.